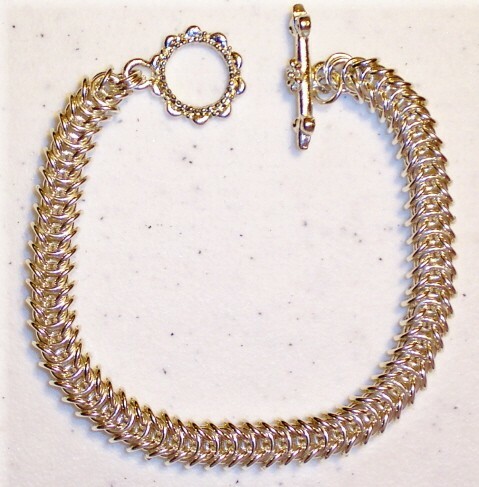 The Box Chain Bracelet is a very slinky bracelet to wear. It is a bracelet that will bring many compliments. It is beautiful in both Sterling Silver and Yellow Gold Filled jump rings. This is a beginner weave. The clasp is not included.